With summer approaching after a dryer-than-normal winter, Cal Fire will suspend all outdoor residential burn permits in its jurisdiction in San Diego County starting Monday. SAN DIEGO (CNS) - With summer approaching after a dryer-than-normal winter, Cal Fire will suspend all outdoor residential burn permits in its jurisdiction in San Diego County starting Monday. The suspension effectively bans all residential outdoor burning of landscape debris, such as branches and trees, according to an announcement Friday from Cal Fire San Diego. Dry weather over much of the rainy season has left the San Diego area with plenty of fuel for brush fires. "The abundant dry grass will only serve as a fuse to the heavier vegetation that still covers our local open spaces,'' Cal Fire San Diego Chief Tony Mecham said. 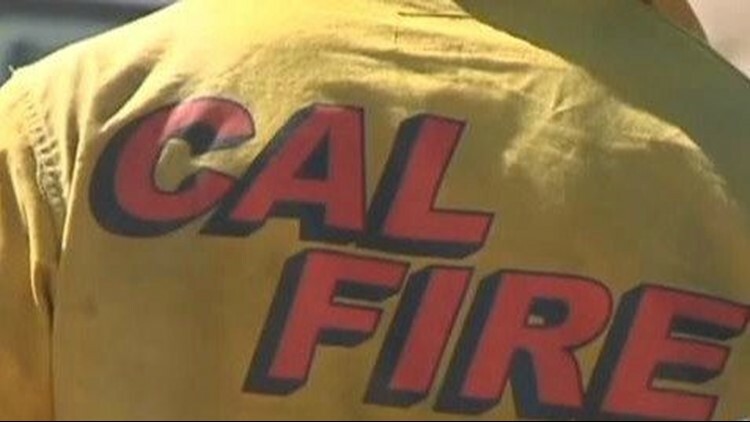 Cal Fire has responded to about 920 wildfires since Jan. 1, the announcement said. Fire officials said that while outdoor burning will no longer be allowed, it's important for residents to clear a ``defensible space'' free of brush and debris around their homes, as long as it's done responsibly. "This includes using the proper tools and limiting clearance activities to the early morning hours when the humidity is up and the temperatures are down,'' Mecham said. Cal Fire may still issue restricted temporary burning permits if there is "an essential reason to do so,'' according to the agency's announcement. Agriculture, land management, fire training and industrial- related burning could still be allowed to continue. The burn prohibition does not apply to most camp fires.